Non-cooperative environments are where facial recognition isn't as widely implemented -- at least not successfully -- says Hauhn, given its relatively low efficacy. "We're just not there yet," he says. "The technology is not that good. It's pretty easy to pull a hat down and have your face not looking at the camera at the right angle to get the right data. With [the systems] that are 2D, you have to have a straight-on view for accuracy." 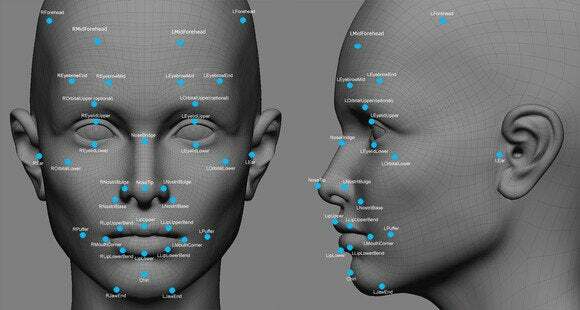 There are some companies, however, that are working on developing facial recognition that operates in a 3D environment. With the use of stereoscopic cameras that use multiple markers, these could increase the likelihood of getting a good scan even when the subject isn't looking at the camera head-on. "You think about cameras that are constantly capturing faces and identifying who those faces are…yeah, there are privacy concerns there," says Hauhn. "But you're going to get into the traditional argument over all privacy issues: what's a reasonable expectation of privacy?"